Father, Step-Father, Grandfather, Godfather, and Uncles of Holy Family School. The Dads Club is here to service and assist the school with its needs. The Dads Club volunteers where needed, just ask and we will be there. 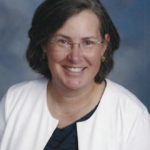 The Dads Club funds a Scholarship each year to a Holy Family School graduating 8th-grade student who services the community and a quality character. 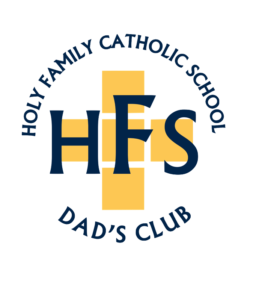 The Dads Club is here to support and participate in the educational experience of our children at Holy Family School. Feb 9th Fundraiser Coming up! 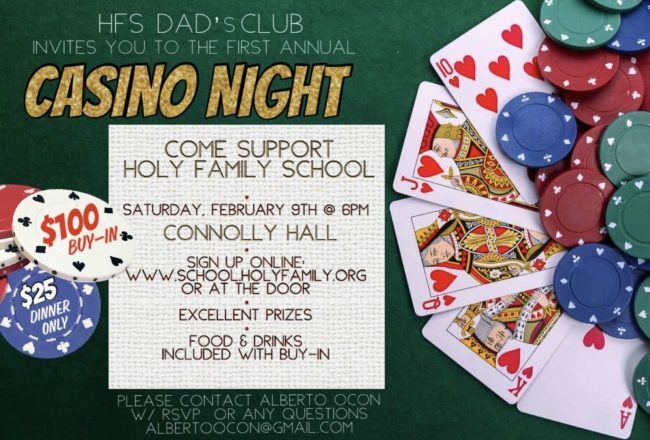 The Holy Family Dad’s Club is having its 1st Annual Canino Night on Saturday, February 9th, 6pm at Connally Hall. Buy in $100, includes play and dinner or $25 for just dinner. Please come out to support our fundraising efforts! Every dollar we raise will go right back to our students. This year we are focusing on uniforms for our athletic teams! 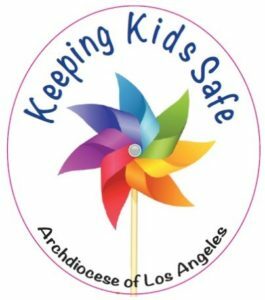 Please reach out to Alberto Ocon at albertoocon@gmail.com or (818) 468-6649 to help with organizing or with questions. Please invite others, we are hopeful to have at least 100 players. 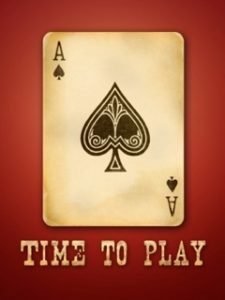 Click the Ace of Spades to get a seat at the table!